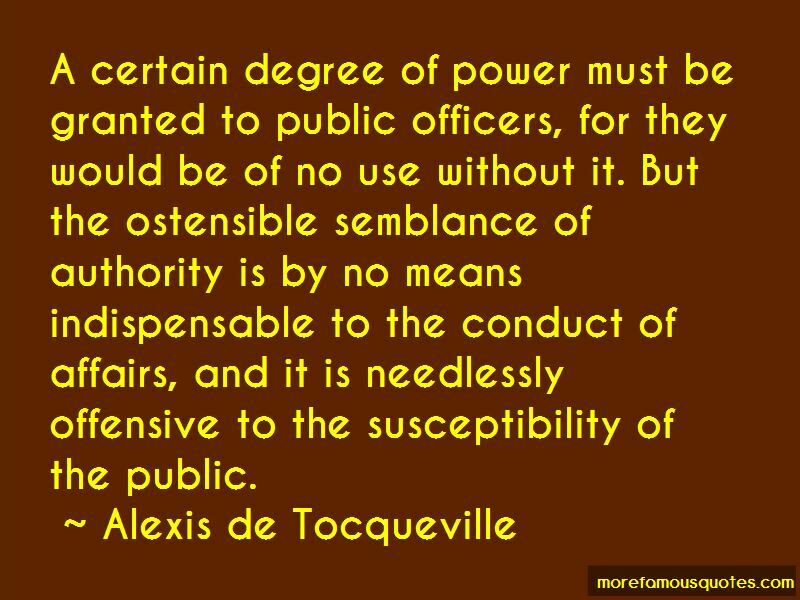 Enjoy the top 471 famous quotes, sayings and quotations by Alexis De Tocqueville. “The territorial aristocracy of former ages was either bound by law, or thought itself bound by usage, to come to the relief of its serving-men and to relieve their distress. But the manufacturing aristocracy of our age first impoverishes and debases the men who serve it and then abandons them to be supported by the charity of the public. This is a natural consequence of what has been said before. Between the workman and the master there are frequent relations, but no real association. However enlightened and however skilful a central power may be, it cannot of itself embrace all the details of the existence of a great nation. 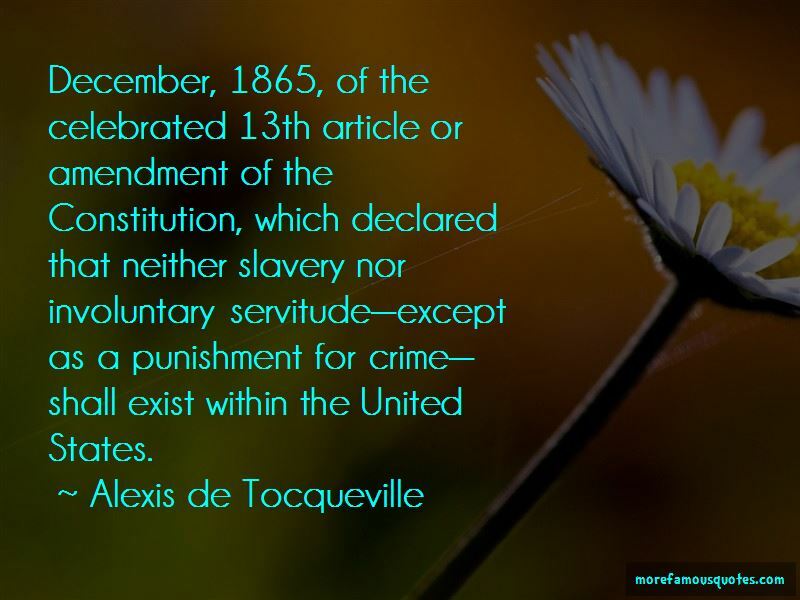 December, 1865, of the celebrated 13th article or amendment of the Constitution, which declared that neither slavery nor involuntary servitude-except as a punishment for crime-shall exist within the United States. The jury, which is the most energetic means to make the people rule, is also the most effective means to teach them to rule. He had a strong conviction that no government could be ordained that could resist these internal forces, when, they are directed to its destruction by bad men, or unreasoning mobs, and many then believed, as some yet believe, that our government is unequal to such pressure, when the assault is thoroughly desperate. When a legislator succeeds, after persevering efforts, in exercising an indirect influence upon the destiny of nations, his genius is lauded by mankind, whilst, in point of fact, the geographical position of the country which he is unable to change, a social condition which arose without his co-operation, manners and opinions which he cannot trace to their source, and an origin with which he is unacquainted, exercise so irresistible an influence over the courses of society that he is himself borne away by the current, after an ineffectual resistance. Like the navigator, he may direct the vessel which bears him along, but he can neither change its structure, nor raise the winds, nor lull the waters which swell beneath him. 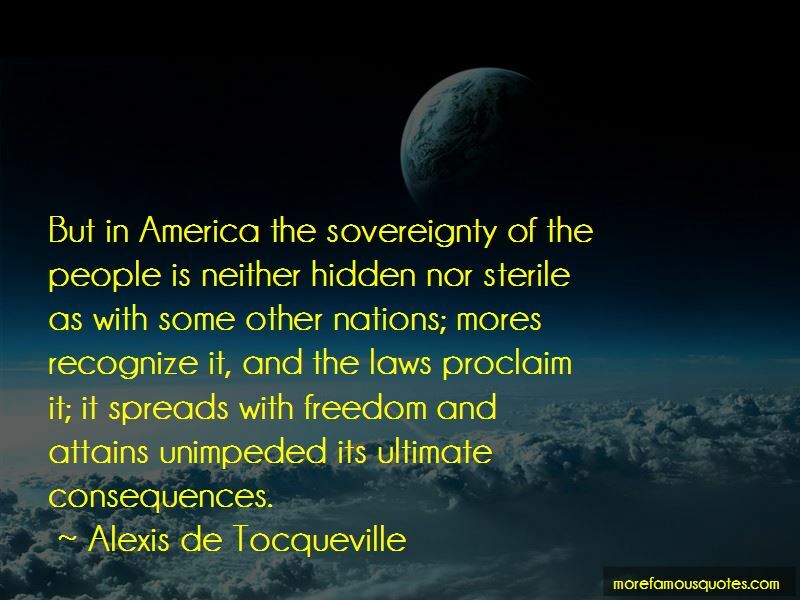 Want to see more pictures of Alexis De Tocqueville quotes? 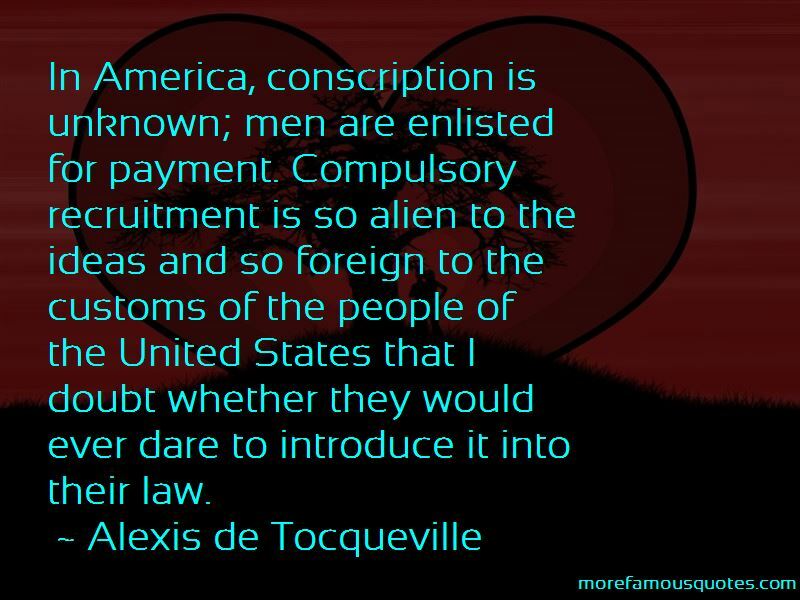 Click on image of Alexis De Tocqueville quotes to view full size.